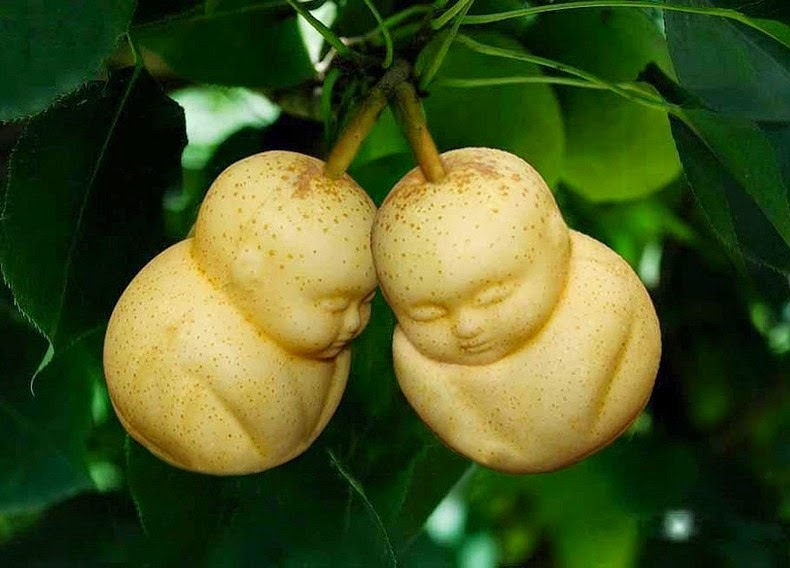 Square melons and pears shaped like human babies taking China’s fruit markets by storm! Thanks to the advances in technology, artificially modified fruits and vegetables are quite common these days, such as pest-resistant varieties of papaya and zucchini, super bananas, purple tomatoes, apples that don’t brown and even seedless watermelon. 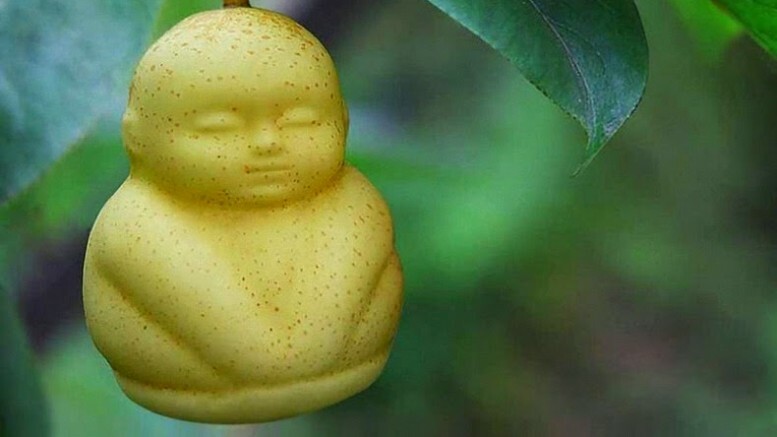 What is more, the latest craze among fruit lovers in China is that of pears, shaped like human babies! 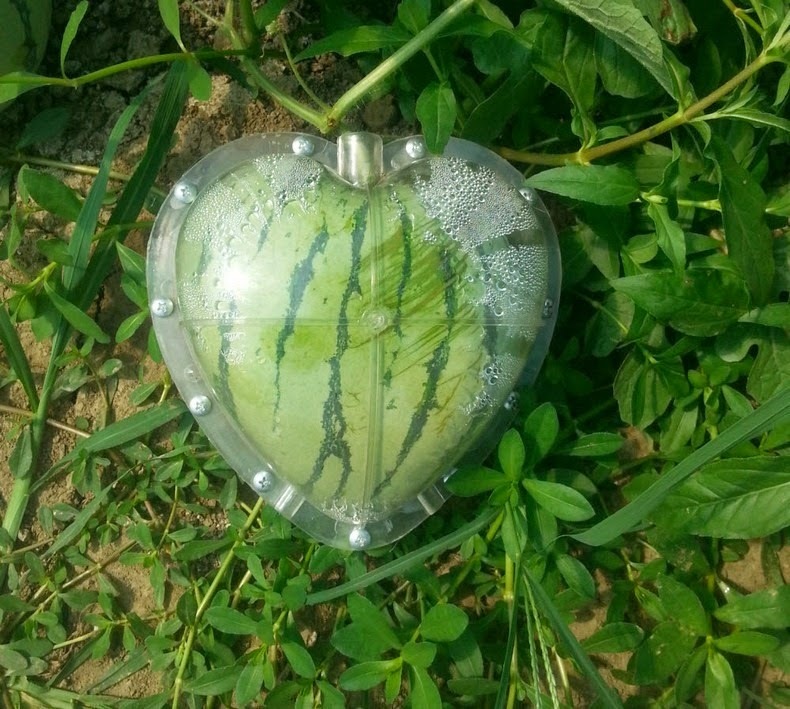 With the help of customized plastic molds manufactured by a Suzhou-based company called Fruit Mould Co., farmers are enthusiastically growing outrageously shaped fruits and selling them at neighboring supermarkets. 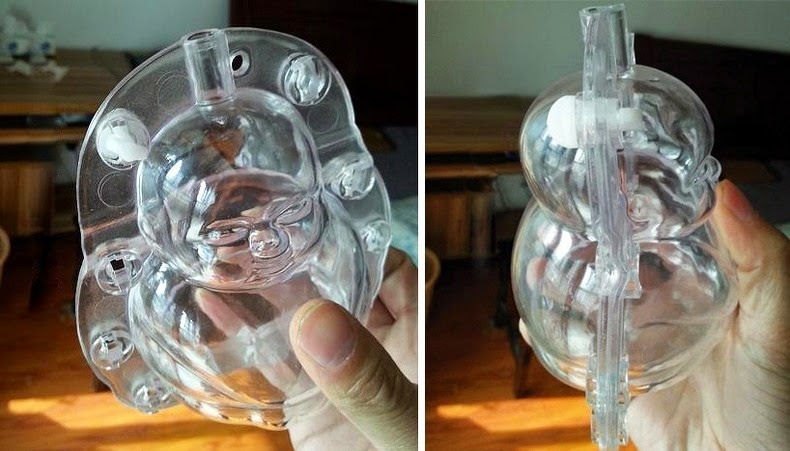 The molds are carefully attached to the fruits during the initial stages of their development. Thus as they gradually grow bigger in size, the fruits take the shape of the molds. 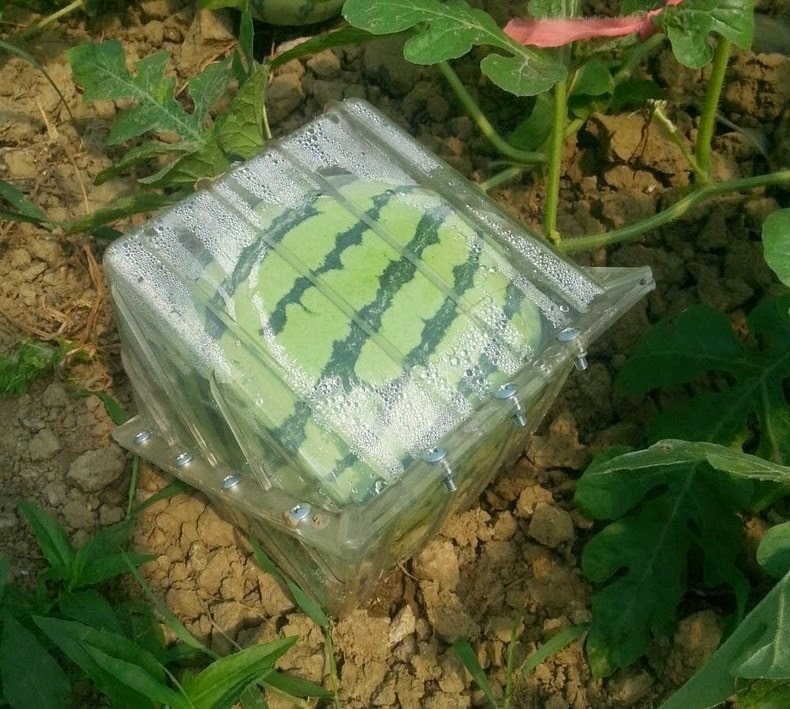 For instance, it takes around 18 days for the watermelon to change into a square shape. 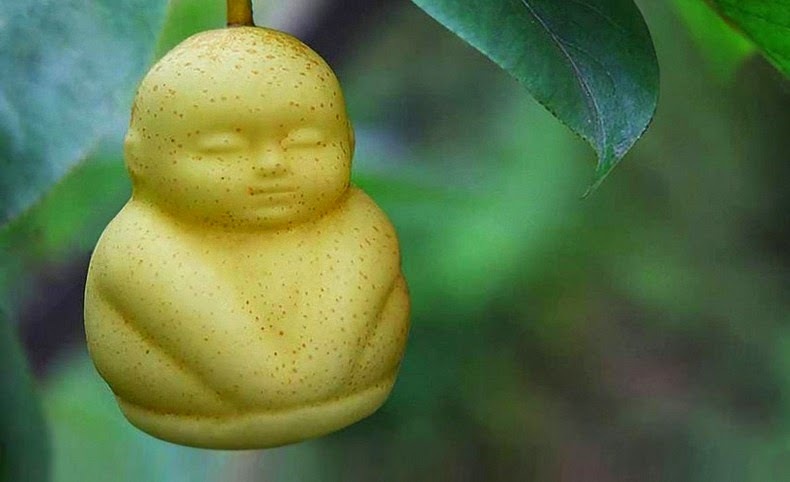 The company’s repertoire consists of several such artistically altered fruits, including the perfectly-detailed baby-shaped pears, the square watermelons, heart-shaped apples and watermelons, miniature Buddha pears, star-shaped cucumbers, and even printable apples with pictures and words on them. To check the various oh-so-quirky creations of the company, check the official website.